Seven rooms of magnificent paintings by Italian old masters from the 16th to 18th centuries make up the NGV’s exhibition, Italian Masterpieces From Spain’s Royal Court, Museo Del Prado. Some of the rooms have themes; still life, ancient Rome and religious art. The exhibition is nothing like visiting the Prado, the paintings are more spread out, it more curated and there are more works on paper on display that are well worth seeing for the artists sketching out their ideas. Two works seemed to sum up so much about the collection: Guido Reni’s Saint Sebastian, 1615-20, that clearly shows the influence of Caravaggio and Jusepe de Ribera’s Women gladiators fighting, 1636. 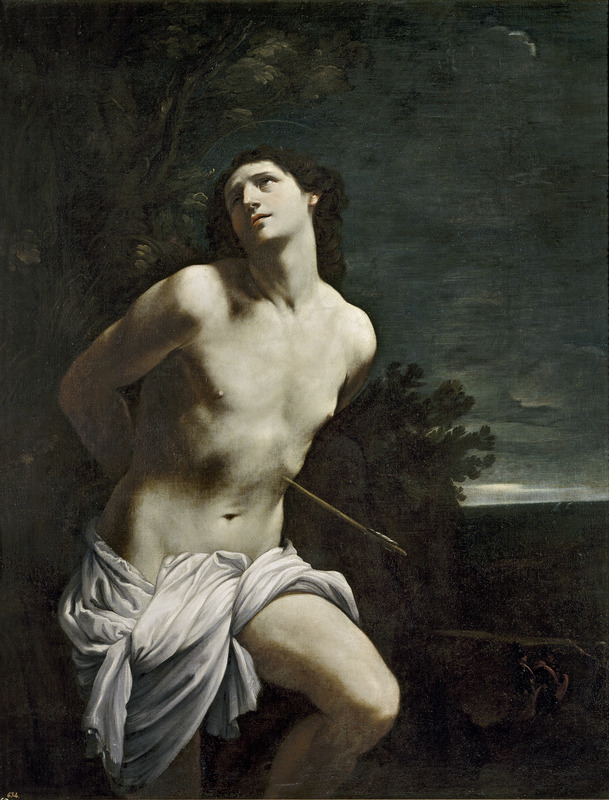 I like Ribera’s paintings but not when he is portraying cruelty, which he is in this painting and in his martyrdom of Saint Lawrence (there is another painting on this subject in the exhibition by Valentin de Boulogne). Ribera reality is touching, shown vividly in his Allegory of Touch; his cruelty is too touching. The cruelty in these works is enough to make you step back and ask yourself why are you looking? Is it because it is very well painted? Why has the sacred blood in Christian iconography and archaic Roman funerary rites has become the subject of art? The sensationalised suffering of martyrs and gladiators from the Prado’s collection now serve slightly different propaganda model for a different empire. Italian Masterpieces From Spain’s Royal Court, Museo Del Prado is part of the NGV’s very successful Melbourne’s Winter Masterpieces series of exhibitions. The income from religious tourists that once made the relics of martyrs a good investment for a city has been changed and now importing exhibitions of Italian masterpieces is a good investment for Victoria. At the media preview for the exhibition the Minister for the Arts, Heide Victoria MLA, along with demonstrating her art history education and boasting that the NGV had a better Tiepolo, spoke about the impact on the economy of the Melbourne’s Winter Masterpiece exhibition series. The NGV, ACMI and the Melbourne Museum attracts 4.3 million visitors a year and with each visitor spending on average $83.72 that brings in $360 million. Melbourne’s inner city hotels, restaurants and bars all share in the profit of being in a city with an event and spectacle based economy. What could be more spectacular event than the Italian Masters from Spain’s Royal Court? The very names of Raphael, Titian and Tiepolo are, in themselves, a spectacle. The art of the 16th to 18th centuries was about the spectacular; the technique, composition, subject matter, colours, size and, even, the cruelty portrayed are all created to be magnificent, impressive, spectacular. The institution of the public art gallery is an invention of the nation state, a spectacle created to suit the needs of the state. The now famous decoupling of painting and sculpture from religious and royal propaganda functions that occurred in France after the revolution and gave birth to art collection of the Louvre only happened in France. In Spain there was no such divorce. The great royal collection of the Prado was a just that a royal art collection, and very much the collection of one man, Philip IV of Spain with lots of family portraits and lots of the artists that he loved. The old accession numbers written on the left hand side of the painting, in red or white paint, are still clearly visible and show that the collection is about ownership. The art of the Italian masters, the spectacle of the royal bling of the Spanish empire is still functional to the National Gallery. The collection of the Prado and the exhibition at the NGV International are a kind of public relations, or marketing that Mazda, principal sponsor of the exhibition, are proud to be associated with. To build on this association there are two new Mazdas were parked in front of the NGV’s famous water wall. It is hard to know if the Italian masters themselves would be disappointed or pleased that Spain was now close to bankrupt, that the Catholic church morally bankrupt and their painting currently on a continent that, was to them, a mere geographical speculation. Or would they simply move on to a patron with money? 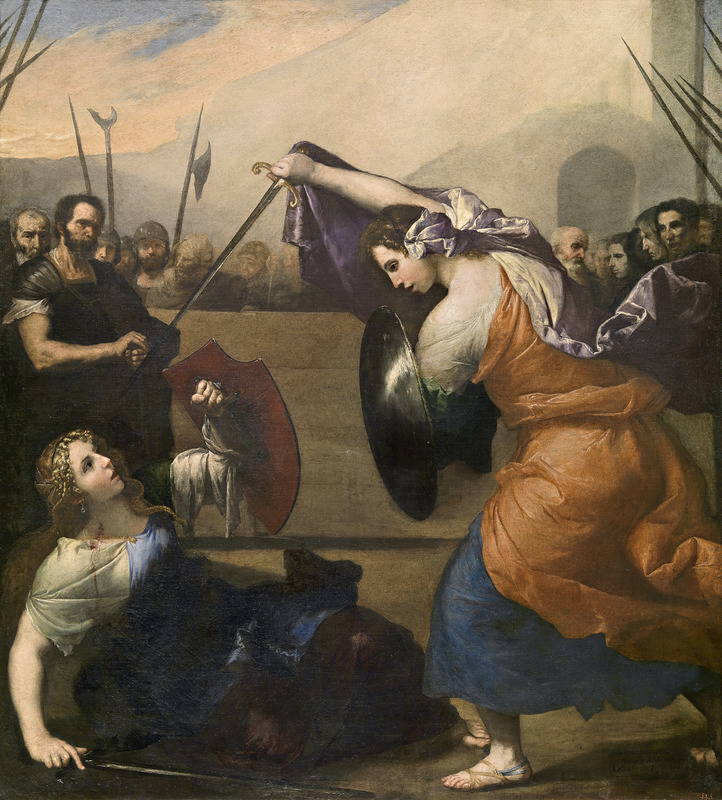 This entry was posted on Friday, May 16th, 2014 at 10:48 AM	and tagged with Guido Reni, Heide Victoria, Jusepe de Ribera, Mazda, Melbourne, Museo Del Prado, Museo Nacional del Prado, NGV and posted in Art Galleries & Exhibitions. You can follow any responses to this entry through the RSS 2.0 feed.